Home Hardware Gadgets Why Are Laptop Skins So Popular? One of the biggest trends and best selling items in the laptop market is laptop skins. These are applied directly to the exterior of laptops. But many people do not understand why laptop skins are necessary, and so they may not be willing to spend even more money on their laptops than they already have. Others may even fear that laptop skins will eventually damage the exterior of their laptops and they are, therefore, unwilling to take the risk and use a laptop skin on their important investment. But these concerns are not valid after all, and laptop skins are perfectly safe for all laptops and even highly recommended. Do You Like My New 50′ Plasma Screen TV? When it comes to laptop skins, once you have learned why they are used and why they are so popular in the first place, you can then decide whether or not they are a good idea for you and your laptop use. Below are just a few of the reasons why laptop skins sell so well, as well as the advantages of using a laptop skin on your computer. Probably the best reason to invest in a laptop skin is the fact that it will actually protect your laptop from external wear and tear, especially if you regularly bring your laptop with you wherever you go, whether it is to school and home or to work and to coffee shops where you can get free Wi-Fi and finish up some projects while on the go. Your laptop will be kept clean and scratch-free, thanks to the laptop skin you applied. Yet another reason that laptop skins are so very popular is that they allow you to customize your laptop. Instead of having a typical laptop that everyone else can be carrying around with a plain exterior, your laptop skin can be a design that you chose which represents you as a unique individual. The great thing about laptop skins is that they are inexpensive and easy to put on and take off of your laptop. So if you ever get tired of your current laptop skin, it is never a permanent decision, and you can simply remove it and put another one on. You can always reuse your old laptop skins as well, so they never go to waste. Whether you want to use a personal photo that you have taken or you want to use your business logo, a laptop skin can be completely customized and manufactured to suit your needs. 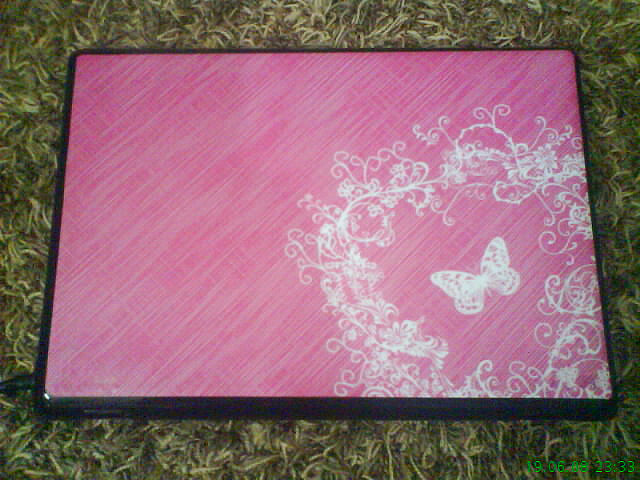 You can find many online retailers that allow you to upload the artwork you desire to see on your laptop skin. This inexpensive investment can be a perfect way to market your business while you are out and about because people will see your logo and business image right on your laptop and may be inclined to ask you questions or look up your website. Aimee Bates is an expert in all aspects of technology protection, ranging from insurance to cases and protectors. Aimee frequently visits taylorhe.co.uk to get the latest information on a variety of laptop and phone cases.